As the 2018 NFL season gets closer and closer we have already started researching ways to make the 2018 NFL season our biggest moneymaker yet. We decided to research if we were losing money by betting on small point spreads (1 or 1.5) instead of betting the money line. The main question we had was how many times does a game that had a line of 1 or 1.5 finish as a 1 point win resulting in a push or how often a team won the game but didn’t cover as -1.5 favorite? There were other questions to be answered as well. How much money have we left on the table by betting these small point spreads instead of the money line? Meaning how many of these +1 or +1.5 dogs actually lose by just 1 point. We researched all regular season games the last 7 years where the lines closed at -1 or -1.5 and the closing money line also. The answers to some of these questions may surprise you. 39 of the 48 favorites who won, beat their opponent by more than 3 points. 36 of the 44 underdog winners won by more than 3 points. In the last 7 years, 52 games were listed at -1.5. The Favorites were 26-26 ATS. There wasn’t one instance where a -1.5 favorite won the game by 1, therefore not covering. There wasn’t one instance where a +1.5 dog lost the game by 1 point. Meaning there was no benefit of having the spread bet over the money line in these situations. 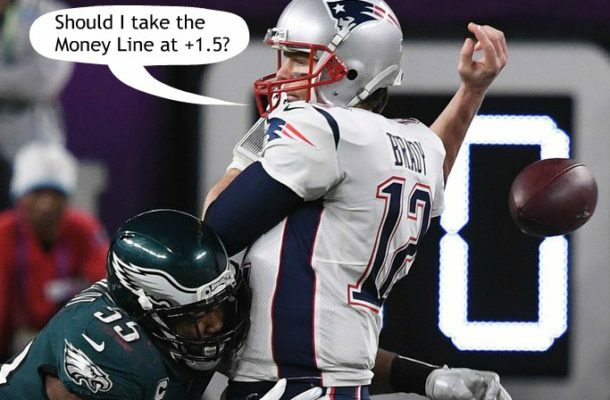 The money line on those 26 underdog winners would have netted an average of $15 extra per $100 bet. In conclusion, we feel it is way more beneficial that if you’re going to take an underdog at +1 or +1.5 it’s wise to just take the money line, especially +1.5 since there’s no chance for a push. If you win that’s more money in your pocket and if you lose you’ll save money on the vig. Pushes while getting +1 is rare enough that taking the money line and losing by 1 point is unlikely enough that we would consider it equal to any other bad beat. Below you’ll find every game in the last 7 years with a closing line of 1 or 1.5, Who covered, straight up winner and score. You may even find a game you bet on and can look for yourself the difference the money line makes.